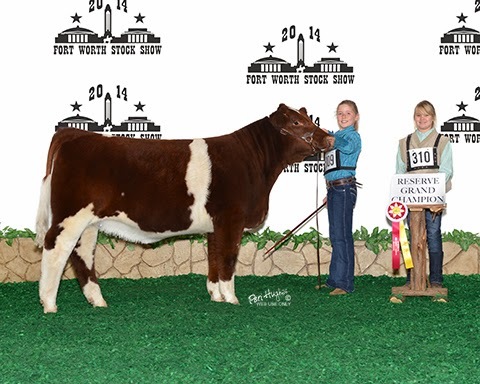 Great job to Natalie Mai in exhibiting the Reserve Grand Champion Fullblood Maine Anjou Female at the 2014 Ft. Worth Stock Show. A special thanks to to Jerry and Judd Gibson of 4J Family Partnership for raising this female, Leighton Robbins for all the help fitting on show day, and of course Traci Mai for all the support both at the show and a home. Also want to thank the Ward and Kaz families for all the help leading up to, and at the show. And Natalie would like to thank Parker for all her help and companionship the entire week at Ft. Worth. They were a great team!